GoDaddy was founded in 1997 by Bob Parsons and has Warren Adelman as their current CEO. Since 2001, GoDaddy became a popular domain registrar company and by April 2005, they became the largest ICANN-accredited registrar on the Internet. GoDaddy currently has over 54 million domain names they manage and the current world’s largest web hosting provider with more than 10.7 million customers. They have 3,300 employees with 600 in-house developers manning 24/7/365 customer care operations across 9 facilities located throughout US and 1 in India. Source. In this review, I’ll discuss the features, options, and choices you’ll have for their web hosting solutions and I’ll also touch on other services they offer. Have experience with GoDaddy? Awesome! Please click here and leave a review below! Looking for a GoDaddy Domain Coupon? GoDaddy does commercials very well. This is one of GoDaddy’s most watched videos on their YouTube channel and I’m sure you can see why. 🙂 An official video done by me going over their features will be released some time in 2013. Stay tuned! *$4.99 monthly pricing is not available on a monthly billing option. Monthly payment option is not available. $6.99 per month billed monthly. $9.99 per month billed monthly. Notes: If you purchase with an annual plan of 12 months or more, GoDaddy will give you a free domain on any plan above. Each plan comes with a one-click WordPress installer with dedicated WordPress servers. Each plan is available in Linux and Windows versions although I couldn’t find pricing options for Windows at the time of this review. In addition to we hosting they offer many other solutions as well. In this section I’ll talk about their: domain service, website builder, reseller hosting, WordPress hosting, VPS hosting, and dedicated servers. 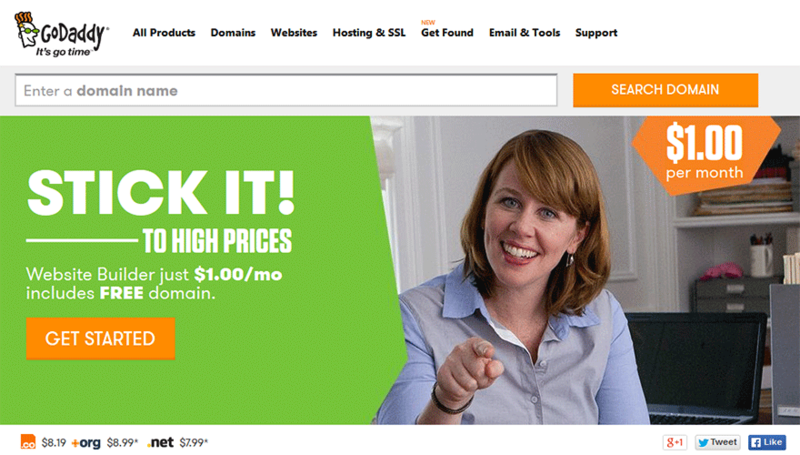 GoDaddy’s domain registration service is straight-forward. Visit their main page and type in the domain you are interested in and GoDaddy will tell you if it is available as well as suggest other options. Although I’ve seen complaints about them, I’ve had no problems using their domain registration service over the past 10 years. In addition to web hosting, they also offer a website builder option with 100s of professional templates that are mobile-ready (responsive) that include web hosting as part of the package. They have three packages, Economy, Deluxe, and Premium that offer 5 pages, 10 pages, and unlimited pages respectively. The price ranges from $1/mo for three months for the Economy package to $6.99/monthly for the Premium package. Each plan comes with over 8,700 stock photos (28,000 on Premium) and a varying amount of email addresses, disk space, and bandwidth depending on the package you choose. First, this section and the ones below are found by going to the bottom of their page and click “Product Catalog.” Also, the “Reseller Hosting” is only available as a VPS package so I merged the two sections into this one. For the advanced user, GoDaddy offers 5 VPS plans with CentOS, Fedora, and Windows operating systems available. All three operating systems offer the same packages and the same pricing which isn’t the norm. Typically Windows-based VPS plans cost more due to the added cost of Windows licensing, however, GoDaddy has them priced the same which is a great deal for those needing Windows. Discounts are available if you are willing to prepay for 1 year (10% off) or 2 years (20% off). GoDaddy offers 6 dedicated server configurations with CentOS, Ubuntu, Fedora, or Windows operating systems. The pricing is the same for the Linux versions but the Windows OS version does cost more this time. Prices range from $99.99/mo to $249.99/mo depending on the configuration you choose. Please visit their dedicated server page for specifics as this is beyond the scope of this review. The was a major outage to this service in September, 2012 that was originally thought to be carried out by a hacker. The outage effected hosting, email, and even domains that use GoDaddy for DNS. Using GoDaddy’s control panel I immediately noticed one thing: I really miss cPanel. Those good old days when your control panel was a mere mywebsite.com/cpanel away. Now you go to GoDaddy’s main website. Login at the top. Then select My Products. Then click on Hosting. Then click on Launch to open the hosting control panel. 5 steps as opposed to the usual 2. This user also wrote about their experience with customer service, their hosting plan, and much more. Worthy of taking a look. In another thread on the same forum, user “HappyBallz” talks about being a web hosting customer since 2005. They missed their payment by one day and GoDaddy automatically deleted their hosting account along with all of their files and wanted to charge a $150 recovery fee to get the files put back. I was late to pay by 1 … ONE day. So they closed my account and removed all my files without ever contacting me by phone like I ASKED [..] And get this… when I call them they said that even if I sign up again they will need to charge $150 (almost 2 years’ worth of hosting) “recovery” fee to get my stuff put back on the server. That being said, they have over 10 million customers with many of them using their web hosting with satisfaction. It is tough keeping that many customers happy and obviously some will fall through the cracks. Had a good or bad experience? Be sure to leave a review would ya? GoDaddy is a BBB accredited business since April, 2000 with a current rating of “A+” and a total of 720 complaints registered in the past 3 years with 255 complaints registered in the past 12 months. GoDaddy offers several shopping carts to be installed including Zen Cart with a one click installer. You can use this along with the “Ultimate” web hosting plan that provides a free SSL certificate and dedicated IP address to launch your first E-commerce website. Economy for $9.99/mo: 20-product catalog, 1 image per product, 1GB space, 150GB bandwidth. Deluxe for $29.99/mo: 100-product catalog, 5 images per product, 10GB space, 500GB bandwidth. Premium for $49.99/mo: Unlimited product catalog, 10 images per product, 50GB space, 1,000GB bandwidth. This plan also includes a free US merchant account & SSL Certificate. All plans offer a discount if you prepay. 12 month prepay: 5% discount, 24 month prepay: 10% discount, and 36 month prepay: 15% discount. Each plan includes $100 in free advertising or more and it is worth looking at the “Features” tab to learn about everything this plan has to offer. Online discussion forum that is active. They have over 62,000 topics with hundreds of thousands of posts at the time of this review. Updated blog that discusses available domain extension offers, tips, and advice. IdeaShare which allows customers to share ideas with GoDaddy with user-based voting. Be sure to check out their support section for top related help articles, top related forum posts, and top related blog entries to keep up on trending topics and news. GoDaddy also includes a product-based support section with specific trending top topics and help which is also come in handy should you have a question. GoDaddy is a massive company with millions of satisfied customers worldwide. I’ve enjoyed using their domain service for countless years now with no issues. I’ve had to call them once or twice in ten years and was happy to get through within 10 minutes of holding. My experience with their ability to solve my problem was good. Overall, there are problems working with such a large company because there is a massive support team that can lead to frustrated customers falling through the cracks. If you are the type of person that cannot manage their hosting without asking loads of questions, GoDaddy may be a decent solution for your hosting needs. However, if you want the best in hosting with a smaller company that dedicates their resources specifically to web hosting and provides a personal touch, you may want to look elsewhere. Please visit GoDaddy directly to verify current pricing and plan options. Cheap and cheerful is probably the best way to describe Godaddy, when I phoned them I should have listened to the alarm bells which were ringing. The sales agent didn’t have a clue “And was rude” I was with them for three months, of which only one was trouble free! I’ve been using GoDaddy as my hosting service for the past several months, and overall I’ve been satisfied on a number of dimensions: quality of service; reliability, stability and speed of server connection; and customer support. I’ve called in to their support hotline on several occasions to ask technical and/or sales questions, and they have always been prompt and courteous in resolving any issues I’ve had. I would be glad to recommend GoDaddy to anyone seeking an affordable and high-quality web host. I use GoDaddy and am very happy. I have used other services, but the service level is in no way close to GD. As an example, in 2010 there was an issue with SQL injection that was annoying the blog world. I wrote a script to resolve that issue on my site and shared it with GD support. I was later told that they were sharing the code to anyone that asked. Nice. Then I saw another host that was using my code and charging for it. I wrote code and other hosts sold it (and they got it from GD). My main website is hosted on Infoquest and has been for many years. However, I do use GoDaddy to buy URLs, especially when I want to buy a bunch for prospective projects. We used GoDaddy for one small client’s site and found their website creator to be a little limited. We’re used to having more control, so it could just be that they are geared to a different market. I started my website out with GoDaddy but I had so many problems with them and their customer service, seemed like every third person I talked to I had to re-explain and we had to reconfigure the site and it would be down for 48 hours which lost me customers. Had godaddy for a little while. They were ok. Didn’t really have any major problems but decided to move because everyone else in my industry was using a different service for less money that was more user friendly. 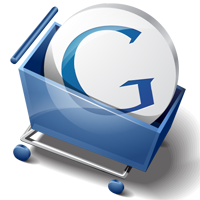 I’ve used godaddy in the past, I’m currently using GVO mainly because of it’s affiliate program. Both of the services have been really good, the customer support is top-notch, if there are any issues with the service it gets solved in less than 24 hours. I can recommend any of them. I’ve just started to use them, they are cheap which is exactly what I need! I have had fantastic results with Godaddy. Their interface is clean and easy to use.I also use them for my SSL certificates and have found their acquisition/renewal process a breeze. I have used Godaddy for several domain registrations and some hosting. 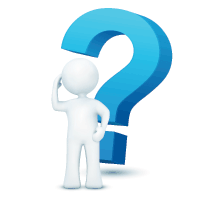 It is easy to look up new domain name ideas to see if they are already taken. Godaddy is a one stop shop for everything. They have an easy interface and good prices. All your registered domain names are set up so you can see everything you are paying for on one page. (The web sites I made in the past have disappeared over time so my proof is negligible). They have a simple file transfer program and step by step instructions to make things easy. In the end I was using ‘Transmit’ and a website making program I bought for my Mac but I really liked Godaddy for the registration, management and hosting. I have used GoDaddy for several sites in the past and I currently use them for a couple of domains I have registered. 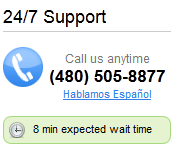 I have never experienced problems or issues with any service from GoDaddy but I do have a minor complaint. I have a few clients that prefer to arrange their own hosting and just allow me to upload their site files via FTP and GoDaddy does allow this and actually helps support this by allowing clients to create alternate FTP usernames and passwords that can be deleted after files are uploaded. That is actually a great feature… so what’s my complaint? The checkout process is confusing for Internet novices. I have had clients feel pressured to purchase something that they do not need because it is presented as if it is required. So if you know what you’re doing GoDaddy is great! If you’re new to hosting and domain registration you may need some guidance. I’ve used GoDaddy for hosting my own and clients’ websites since around 2004, during which time I’ve found the support and uptime to be at least as good as anyone else that I’ve used. Their scale and investment in product does mean that they’re one of the more advanced companies. and they’re pretty transparent in terms of what they offer and deliver. 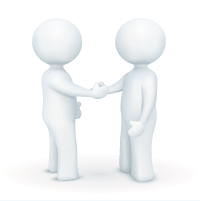 Of course, as with any larger business the level of service I’ve had has been variable because it often depends on exactly who in the organisation that you deal with, but I’ve never had trouble getting issues resolved quickly and fully. I’ve used Go Daddy for years myself and have always been more than satisfied. I’ve seen great results. I’ve always been more than happy with the customer service as well. There had been one time since I’ve started that entire site crashed for about 24 hours. Other than that it has been good. I have 2 sites. One hosted with godaddy and the other with host gator. I can say that althought host gator gives me a reliable product, godaddy is much more versatile and allows my website technology to grow on command. They offer a lot of ad dons. Since then. I am now building a 3rd site with godaddy.